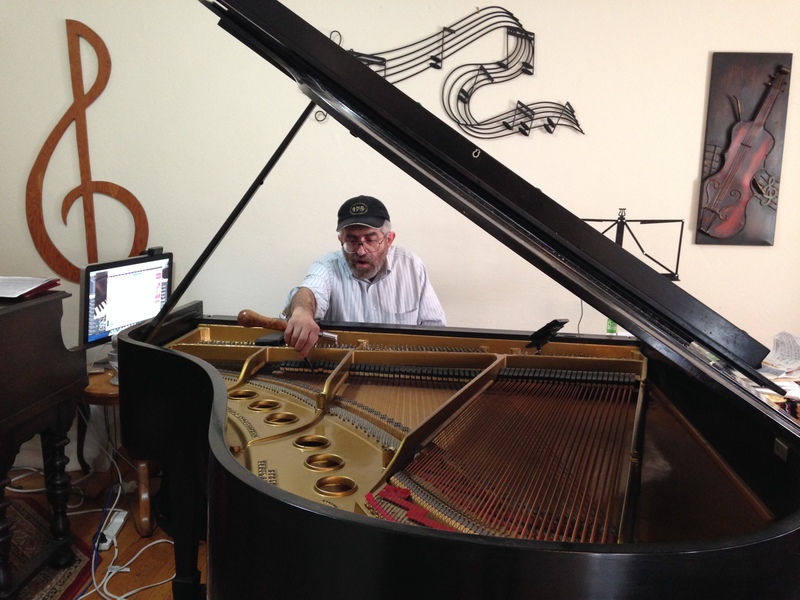 I couldn’t resist an opportunity to immerse myself in an engaging dialog with Israel Stein, RPT, as he was tuning my piano. Regaled far and wide by a community of pianists and teachers as he amasses awards bestowed by his peers at the National Piano Technician’s Guild, Stein remains thoroughly dedicated to what seems like an ART form. If there’s a Zen-like approach to his work, it embodies a complete immersion in the wellness universe of pianos of all ages, shapes and sizes. Naturally with all the banter and controversy surrounding Machine vs. Ear tuning I was eager to pick this Master tuner/technician’s brains about how he effortlessly inhabits two universes without skipping a BEAT. A four-part exchange followed with side bars exploring the world of modern-day piano antecedents; digitals and their culture, “paradigm,” etc; tuning/technician standards/exams and much more. In recognition of outstanding service as Chair of the Technical Examinations Subcommittee and in exam administration.